She's back and in action! Baldwin Locomotive Works 0-6-0 no. 26 returns for her fourth season of leading the Scranton Limited trains as part of National Park Week. Ride along through the historic railroad yard, and a portion of the DL&W Railroad mainline, heading to New York City, and stopping about 133 miles shy of the Big City. 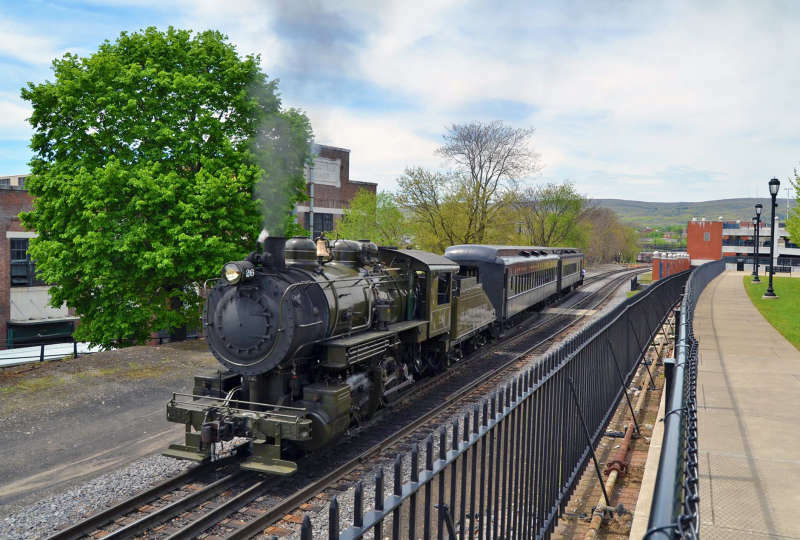 This 1/2 hour long, 3-mile trip departs from the turntable plaza of the museum complex at Steamtown at 10:30, 11:30 1:15 and 2:15. Tickets are $5.00 per rider aged 6 and up. Bring the whole family. Tickets are purchased each of these days at the Tickets and Information booth. No need to call ahead, or buy online.